No pictures from there, no video, no nothing. I was so discouraged to take pictures of it or even make a review over it, cause it was just really bad.. The room itself is lesser comfortable than a single studio apartment in Thai, even less furniture like, dafuq? The water power in the bathroom was bad; toilet, sink and shower = no pressure. We could barely wash our hair, that weak. The toilet wouldn't flush out and the sink was stronger than the shower and toilet together, sad little life on that one. But, Prince Palace Hotel was awesome. The service was great, we even got upgraded to a better suite cause they were out of the room we booked, no charge! The room was sooooo spacious and nice, with a little kitchenette, living room, bed room with a kickin' view over the area and a nice bathroom with a bathtub amagawd. Not to mention they speak rather good English - of course I mean those that actually can, they'll be sent straight up to you if a Thai worker can't understand what you're saying. But, they greet you with a smile, open doors for you tells you where everything is, it's over all great Service. 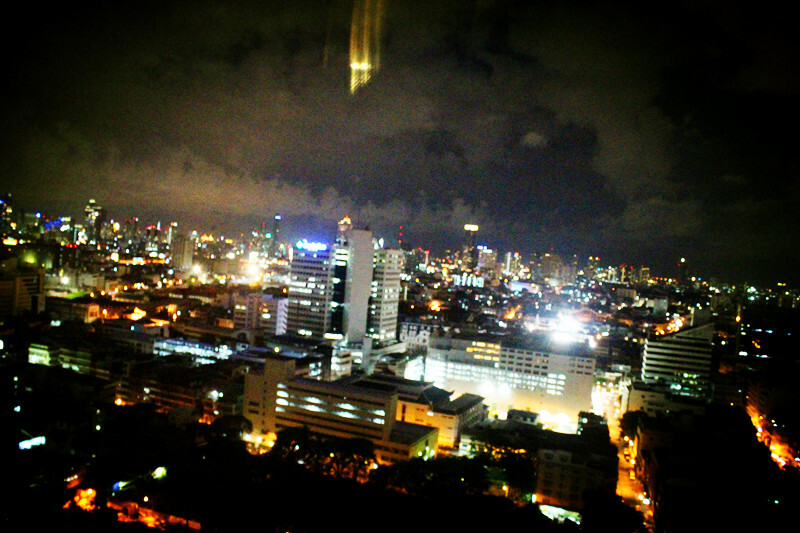 The view from our hotel room, nightlife.